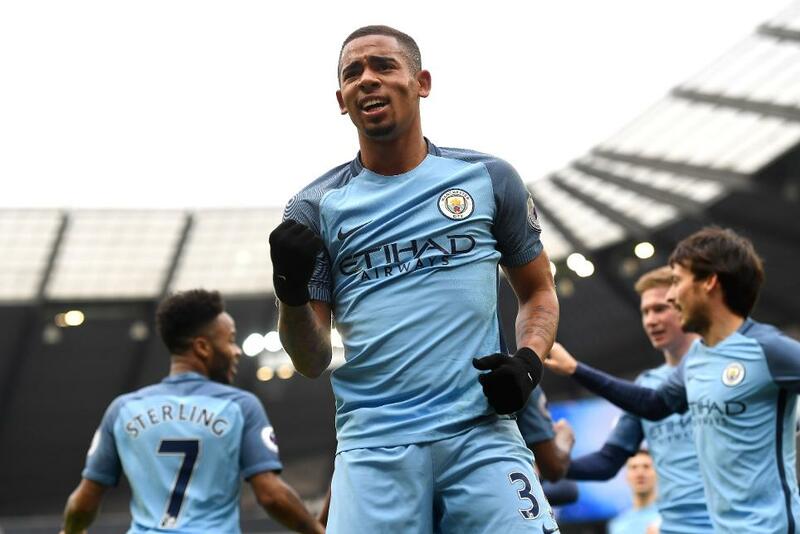 A stoppage-time winner from Gabriel Jesus (£9.2m) helped Manchester City edge out Swansea City at the Etihad Stadium, with the Brazilian claiming maximum Fantasy Premier League bonus points. Jesus' two goals fired him to a Bonus Points System (BPS) score of 53, having also completed 83% of 37 passes and created three chances. A busy midfield display from David Silva (£8.6m) earned the Spaniard two bonus points, thanks to his BPS total of 28. He contributed six recoveries, won three tackles and creatws two "big chances" from 57 successful passes. Despite conceding a late goal, defenders John Stones (£4.7m) and Gael Clichy (£5.2m) gathered a bonus point apiece with BPS scores of 22. Impressively, Stones completed 98% of 95 attempted passes, while also contributing eight clearances, blocks and interceptions (CBI) and two successful tackles. Clichy benefited from 11 CBI, three recoveries and a trio of successful tackles, while also completing 87% of 60 passes. Swansea City's Gylfi Sigurdsson (£7.4m) missed out on bonus point recognition despite scoring the visitors' goal. He completed only 11 passes, was tackled on four occasions and picked up a yellow card to register 18 in the BPS. Jesus topped the ICT Index, with a score of 22.0 the second highest total of Gameweek 24. The Brazilian produced a Threat tally of 101, thanks to his four goal attempts, all of which arrived from inside the box. He also recorded a score of 46 for Creativity courtesy of three key passes. Silva came next in the Index with a score of 13.1. The playmaker was awarded the biggest Creativity score (56) in the Etihad Stadium encounter courtesy of nine crosses and 25 successful passes in the attacking third, including four chances created. Having registered three goals and an assist over the last two Gameweeks, totalling 24 FPL points, Jesus has had a sensational impact on Pep Guardiola's side. Retained as a lone striker, Jesus proved the matchwinner with Sergio Aguero (£12.7m) again restricted to a late cameo from the bench. Having earned more than 192,000 new owners ahead of Sunday's points, more than 95,000 FPL managers have moved to acquire Jesus ahead of the Gameweek 25 visit to AFC Bournemouth. Elsewhere, Raheem Sterling (£7.8m) provided his 11% ownership with an eighth assist in nine Gameweek starts. However, City will miss Gameweek 26, with their derby encounter with Manchester United postponed due to the Red Devils' involvement in the EFL Cup final. They could also suffer a further postponement in Gameweek 28 should they progress past Huddersfield Town in the fifth round of the FA Cup. Investors in Sigurdsson have no such concerns. Finding the net in three successive Gameweeks, the Swansea midfielder has returned points in four of five starts under Paul Clement. Considering that the Swans are one of only six teams with a guaranteed fixture in Gameweek 28 - away to Hull City - Sigurdsson's ownership and price are both set to climb.